And the RS, of course. A completely redesigned Ford Focus is due to arrive for the 2019 model year and we have the first test mule spy shots for you today. 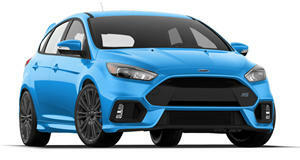 And yes, this will serve as the basis for the next ST and (hopefully) RS hot hatch backs as well. Our sources tell us this hatchback prototype is wearing the new body design, meaning it’s not the existing car’s body with the new car’s guts underneath. 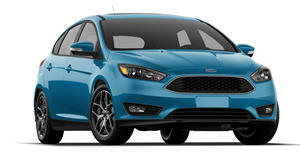 From what we can tell based on these photos is that the new Focus will be both wider and longer than the current one, thus increasing passenger and cargo volume. Although we don’t know the exact engine lineup at the moment, a very fair assumption is that it’ll consist of gasoline and diesel options, as well as a plug-in hybrid and a full EV version. More than likely, the diesel won’t arrive stateside, but the rest certainly will. Our spy photographers also managed to snap a photo of this test mule’s interior, with the driver’s face blurred out. Probably for the best. Chances are the guy wasn’t happy being photographed. Anyway, it’s a little hard to make out the dash design, but it does appear to be very evolutionary from the current Focus layout. And yes, this prototype does have a manual transmission, a very good sign for the eventual next-gen hot hatch versions. The compact hatchback segment should be an interesting one to watch starting around 2019-2020. Not only will this new Focus appear, but also the next-generation Volkswagen Golf and, for Europe, the Opel Astra. Also expect to see the reveal of fresh competitors from the likes of Hyundai, Kia, and Toyota.